This weekend we had our “I” date. 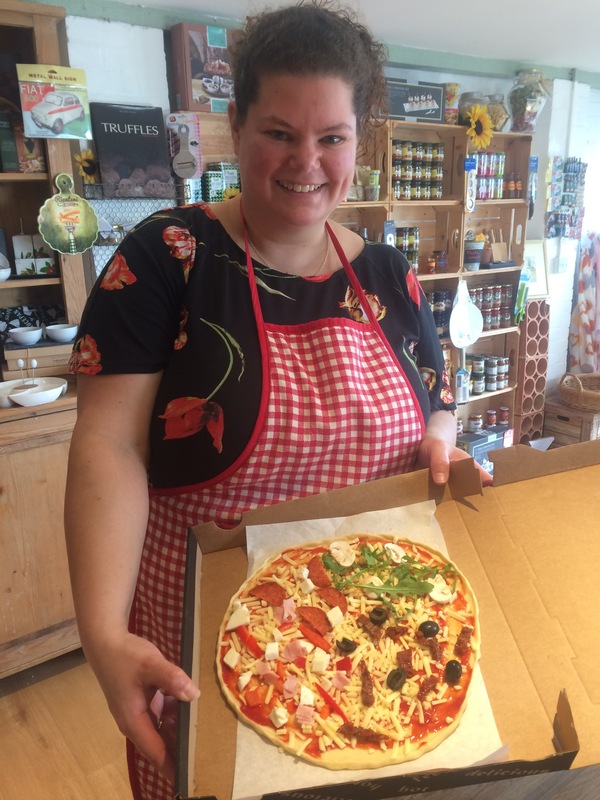 We are lucky to have a local business “Delights of Italy“, who sell delicious Italian products and beautiful homewares. 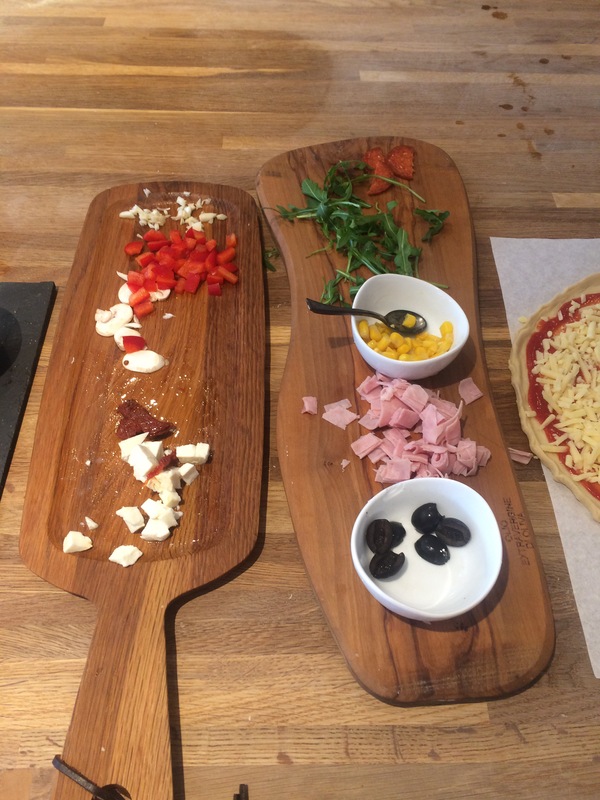 They also offer cookery workshops, where you can learn to make pasta and pizza. 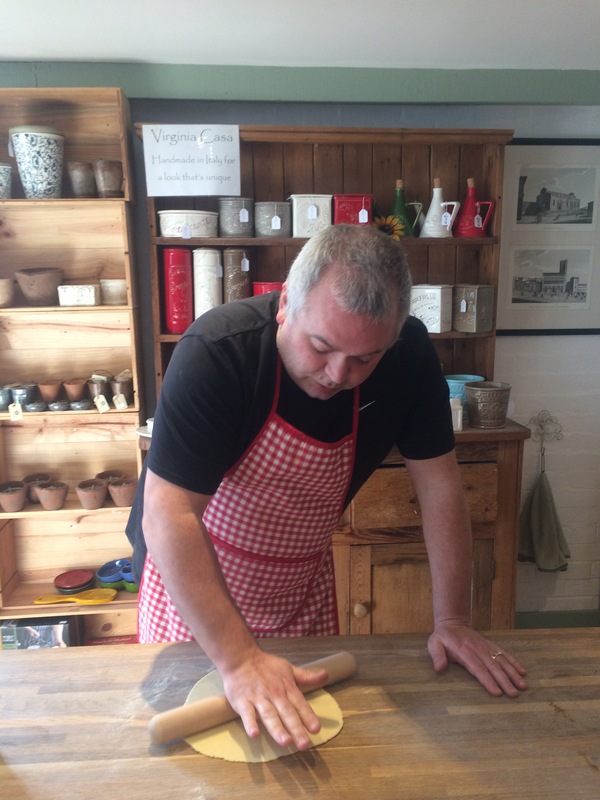 For this date, we visited their premises on a sunny Saturday lunchtime for a pizza making workshop. We were welcomed by Jackie, the friendly proprietor and given aprons to wear. 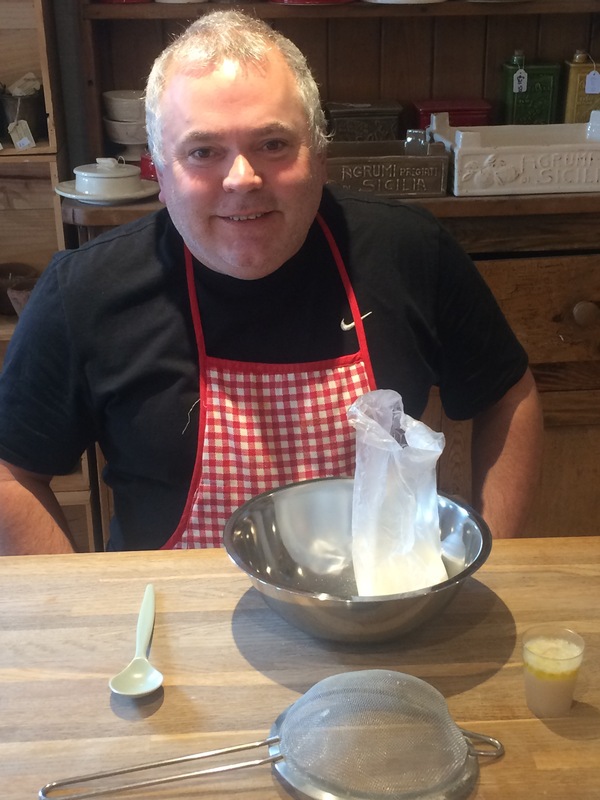 We were then given the ingredients to make our pizza bases, 00 flour, semolina flour and a mix of olive oil, yeast, sugar and warm water. 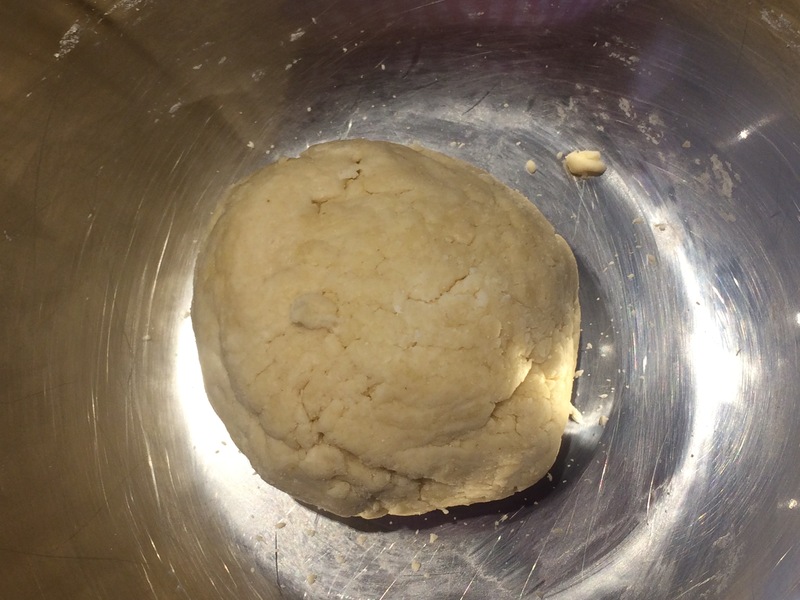 We mixed this together to form a dough, then popped it into a bag to prove. We were offered a beer, wine or soft drink and Italian snacks while we waited for our bread to prove. 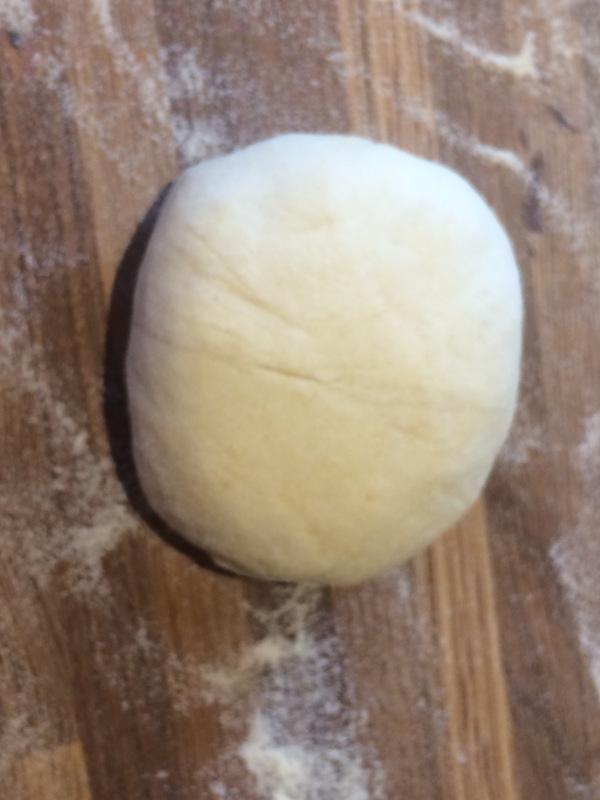 Once the bread proved it was time to roll out our pizza bases. 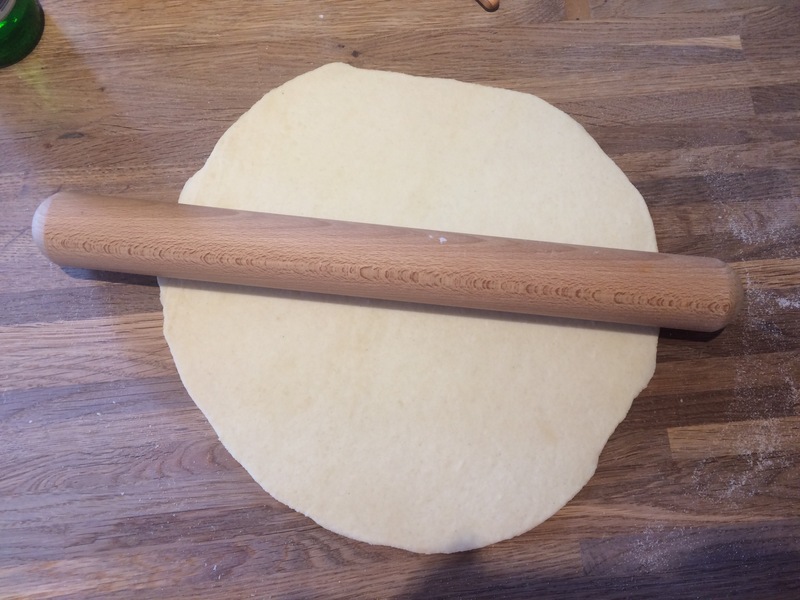 The dough was soft and stretchy, easy to roll into a thin base. 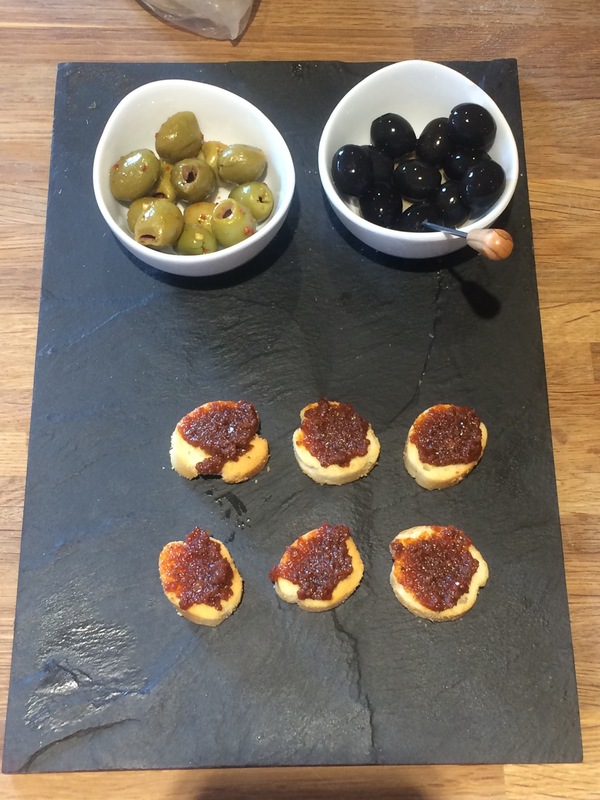 A selection of toppings was provided for us to choose from, including mozzarella and cheddar cheese, various meats and vegetables including rocket and sun dried tomatoes. 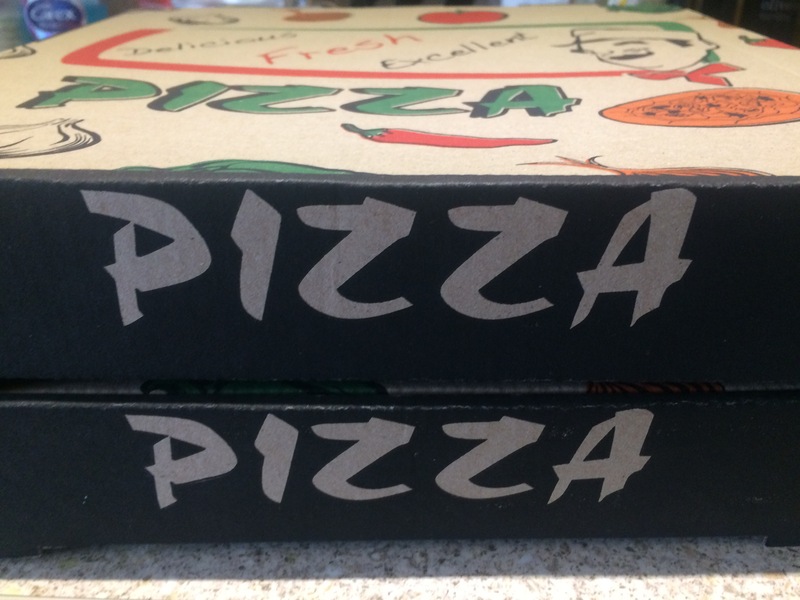 We decorated our pizzas to our own tastes and then placed them in a pizza box to take home and cook. 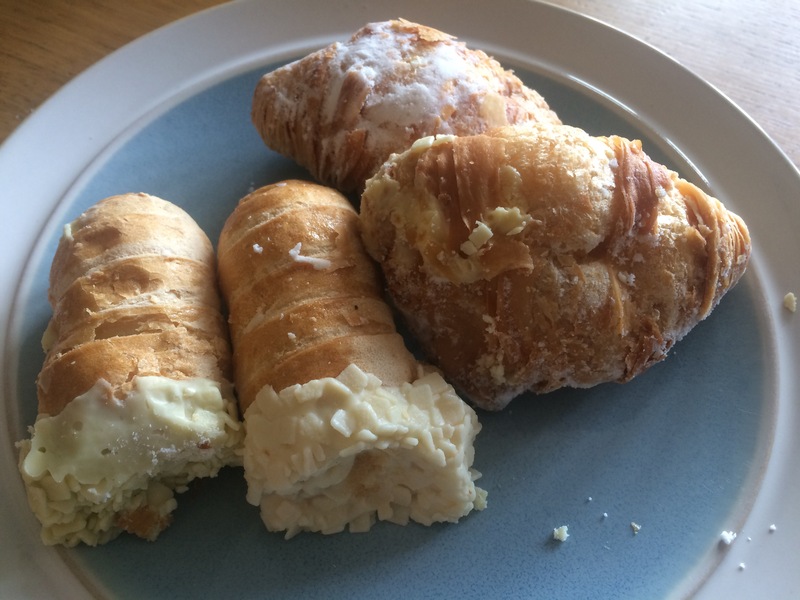 We purchased some Italian pastries from the shop, and headed home with our delicious smelling pizzas to continue our Italian date. We enjoyed the pastries with a coffee. 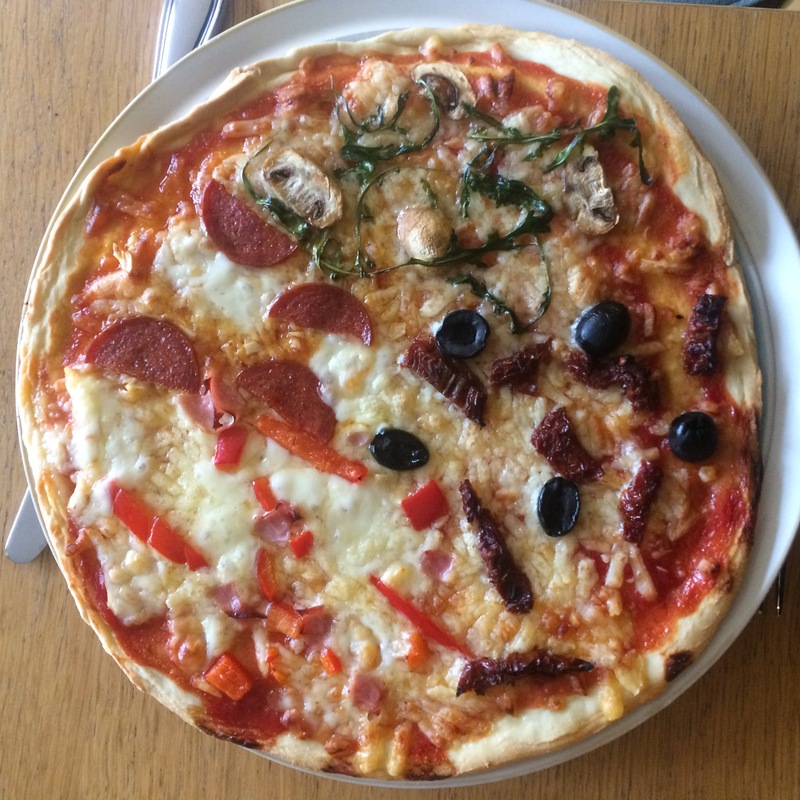 Later, we cooked the pizzas, which were crispy, fresh and tasty. 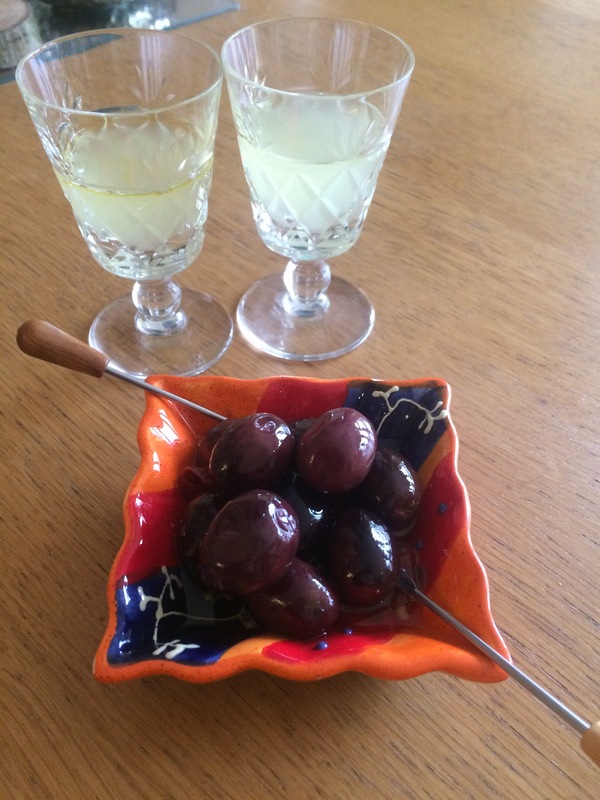 We then relaxed with olives and limoncello as an after dinner digestivo. This was an enjoyable date. 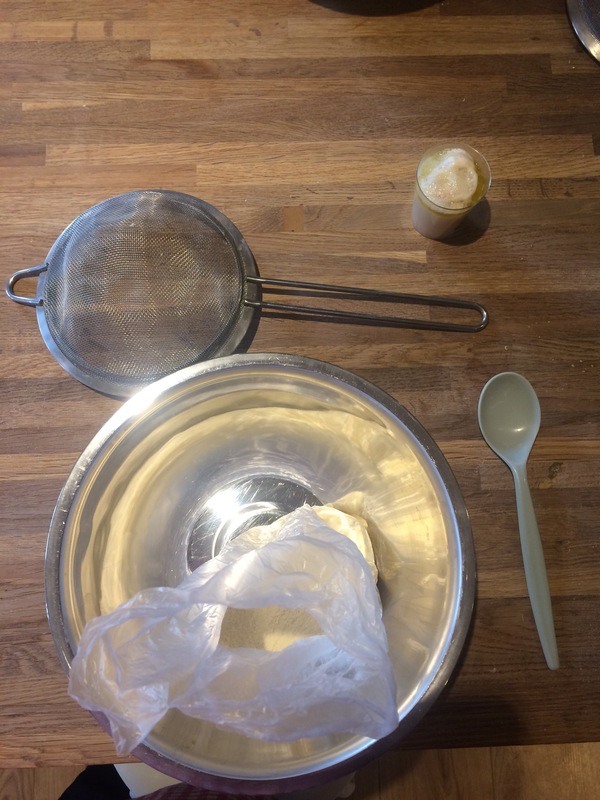 It was good to take part in an activity together and learn a new skill that we can use again. 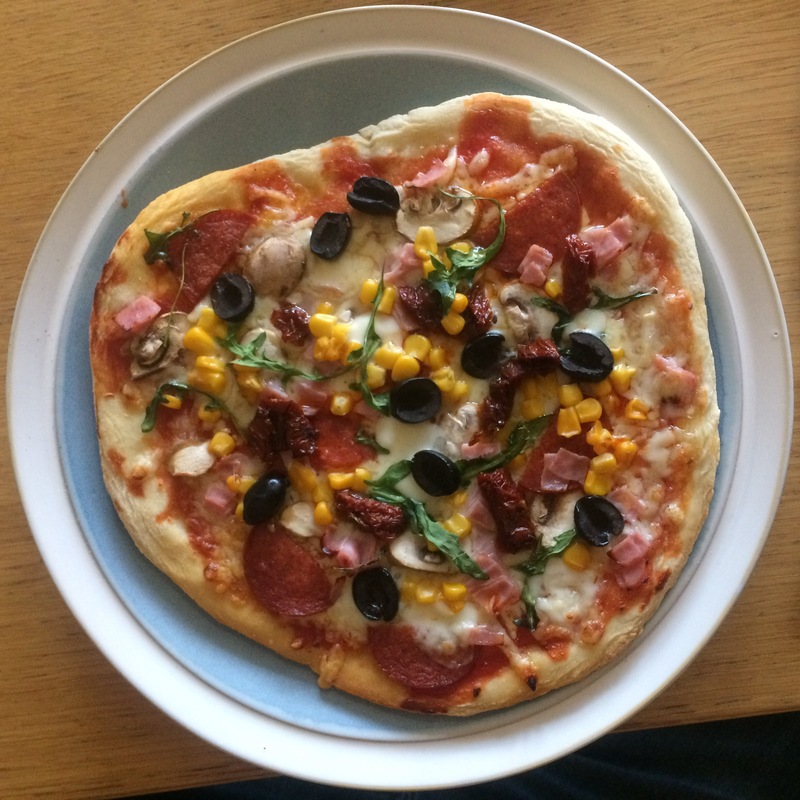 We’ll definitely be making our own pizzas, with fresh bases, again soon, they were delicious! For our “I” date I also considered ice skating, a visit to an ice bar, going out for Ice cream and even pondered a trip to Iceland, which we visited a couple of years ago and loved! We enjoyed this relaxed, low key date, so I think I made a good choice. What would you do for an “I” date? Interesting Post. I might do Ice Cream with chocolate syrup and plenty of peanuts. Where Are You From that February Was Stormy? Where I’m From It Was A Mild Winter. Sure We Had Some Snow But Very Little. Hoping The Upcoming Storm Misses Us. Liked Your Post And Pictures. I’m in South east England. We get very little snow here and none really this winter. February brought winds though, squally rain and Storm Doris hit the UK, bringing down lots of trees and garden fences.